Going along with the post earlier this week; Q3 is on track to be an even better quarter for Google's Android OS. As of August, 200k Android devices are being activated per day! Wowzers... with the impending release of Samsung's Epic for Sprint and the new Droid 2 for Verizon, those numbers are likly to shoot up even more. 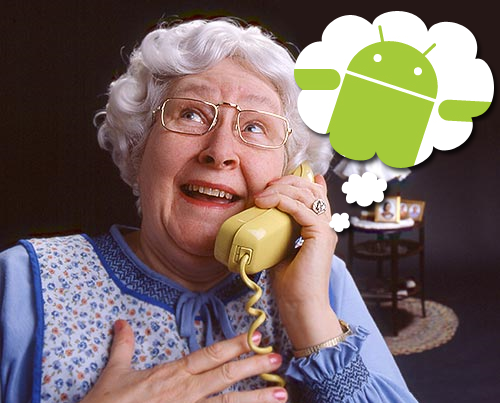 It appears that everyone and their Grandma is thinking Android. In May of this year, Google was proud to announce 100k units activated each day and just a few months later they have doubled that. A few of you have asked why it's selling so well compared to the iPhone. The main reason is that only Apple makes the iPhone and it's only on AT&T. Apple will most likely never allow other companies to manufacture devices with their OS, as they hate anyone touching their stuff (see Hackintosh lawsuit as an example). With Apple being the only manufacturer and the iPhone currently only available for AT&T customers, many don't even have the option of getting the iPhone. There are something like 7-8 Android manufacturers and it's available on all major carriers, so you have a lot of choices. I won't say whether the iPhone is better than an Android powered phone or vice versa as that is just personal preference.